High-performance industrial drives widely employ induction motors with position sensorless vector control (SLVC). The state-of-the-art SLVC is first reviewed in this paper. An improved design procedure for current and flux controllers is proposed for SLVC drives when the inverter delay is significant. The speed controller design in such a drive is highly sensitive to the mechanical parameters of the induction motor. These mechanical parameters change with the load coupled. 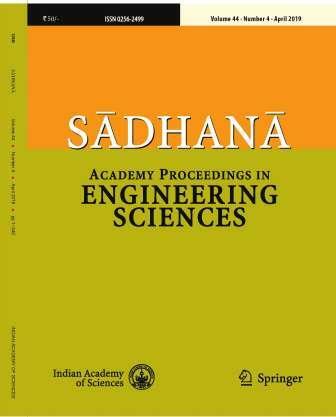 This paper proposes a method to experimentally determine the moment of inertia and mechanical time constant of the induction motor drive along with the load driven. The proposed method is based on acceleration and deceleration of the motor under constant torque, which is achieved using a sensorless vector-controlled drive itself. Experimental results from a 5-hp induction motor drive are presented. Continual-clamp pulse width modulation (CCPWM) clamps each phase of a three-phase inverter to one of the two dc buses continually for 60°duration in each half of the fundamental cycle. Split-clamp pulse width modulation (SCPWM) divides the 60° clamping interval into two sub-intervals, which are not necessarily equal, and falling in two different quarter cycles. Whether continual clamp or split clamp, the positioning of the clamping interval in case of CCPWM, and the ratio of splitting the clamping interval in SCPWM – all influencethe waveform quality of the inverter output. This paper derives analytically closed-form expressions for the total RMS harmonic distortion factor and torque ripple factor pertaining to CCPWM with any arbitrary position of the clamping interval (i.e., generalized CCPWM) and also corresponding to SCPWM with any arbitrary ratio of splitting of the clamping interval (i.e., generalized SCPWM). The analytical results are well supported by experimental results on 3-hp and 5-hp induction motor drives.